Hello, guys! 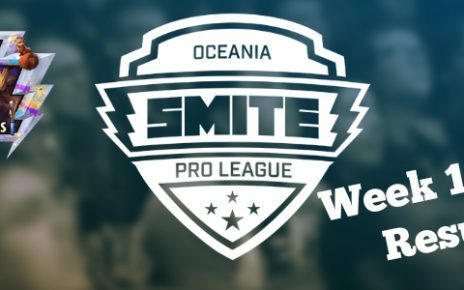 It’s another week again of nonstop action Smite tournaments. This time, I will be giving you the latest updates of every tournament and some changes in the upcoming patch. Let’s get started by giving you the results. The winless team might have improved their gameplay, but they can’t withstand against the mighty ones. It seems that Kangas are losing their flow despite their strong start. In this game, they ended up tied with second placer Legacy. The “average Joes” are off to a rough start. However, they’ve ended up with a split decision when facing each other. It was expected that the BD’s would dominate the competition, and their first victim is no other than the RC’s. They have shown a lot of promise entering the BPL second split. They did that by defeating the respectable Riders. One day later, the winners of yesterday faced each other in an intense solid battle. Sorry to say that I have confidence with BD’s winning over ETES. I never followed either both of these teams under the Brazil division. They’re doing well in this matchup. It was Valhalla PG prevailed over Yakuz4. They got off to a great start by beating an improving Full Burst team. They’ve shown everyone on what they’ve been capable of by beating Game OverSL. I think they’ve came here for a reason, and that is to dominate. Beating Titanes Esports is a great example for them. It seems that they’re not ready to face Hafnet Esports yet, that’s why they lost. After their loss, Titanes got their momentum back against Nocturns Gaming. The mighty team of Latin American division showed everyone that they’re the best, and they proved it by beating the latter easily. I was expecting that SB’s would easily dominate Elevate XBox, but it ended with an even score of 1-1. This is a surprise to me. Starboys got even with A-double? Good grief. I did expect Obey Alliance to dismantle SoaR Gaming once and for all, and they did it. It was an easy decision for me that Team Dignitas would dominate Elevate in this game. The underdogs have shown great promise in the tournament, but they can’t get past Eanix in this game. Flash Point did a great job in the last qualifying tourney. Adjustments should be made after falling at the hands of Monkey Madness. Dignitas is simply hard to beat. Burrito Esports could learn their lesson from this defeat. Two of the most popular teams in Smite are battling with supremacy, which leads them to a tie. I would say that The Papis have great potential, and they’ve responded with a tying score with Elevate. I did expect that Obey Alliance would defeat Eanix, but I was wrong. Eanix found a way to respond back and tied with them. Noble Esports was also doing a great job in the summer relegations. I hope they’ll find a way to bounce back after their loss to Luminosity. I highly respect both of these teams. They’ve fought hard tooth and nail and ended with a 1-1 decision. It was easy enough for an average team like Allegiance to settle their score against Flash Point. Good job guys! Team Eager was the best team in NA server, but I’m surprised that Monkey Madness found a way to even their series. Right now, Smite has a promo to all players who haven’t purchased the ticket yet. Originally at 400 gems, it was now slashed off at 25% for a limited time only. This is good news for all Smite fans. Now that Odyssey draws near, it is time for another round of community votes for the next Tier 5 skin in the 2018 Odyssey event. It was already revealed on the website that the class being chosen by the community is a hunter. It is going to be very interesting for me as a Smite player, because they’ve finally remodeled Bacchus, The God of Wine. Not only that, Bacchus, along with other gods, Poseidon, Ravana, Hercules, Da Ji and Rama are getting cool skins. There will be a new adventure game, which is called Trials of King Hercules. It introduces a new Dungeon and Adventure bundle for those players who can afford to shell out their pockets for good. There’s going to be numerous fixes and changes in some items, gods and the in-game system. This patch, however, will be implemented by next week. Thanks for tuning in to our weekly updates. We look forward to what’s coming in for next week. You can follow Hi-Rez Studios on their social media channels and watch live on Twitch at the same time.